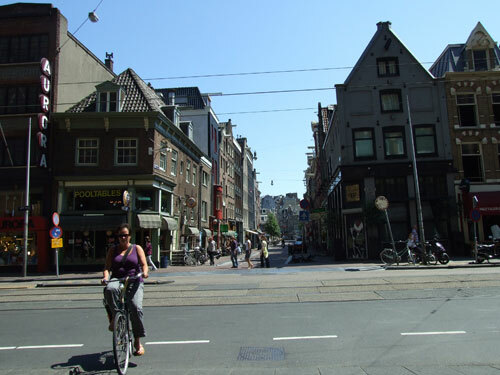 The masive building of Carlton Hotel at Vijzelstraat changed the looks of this side of the Reguliersdwarsstraat. 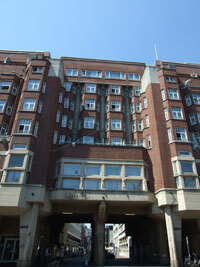 Between 1926-'28 Carlton Hotel was raised by design of architect G.J. 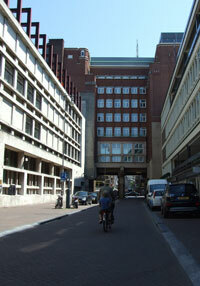 Rutgers in the style of the Amsterdam School, influenced by Berlage.